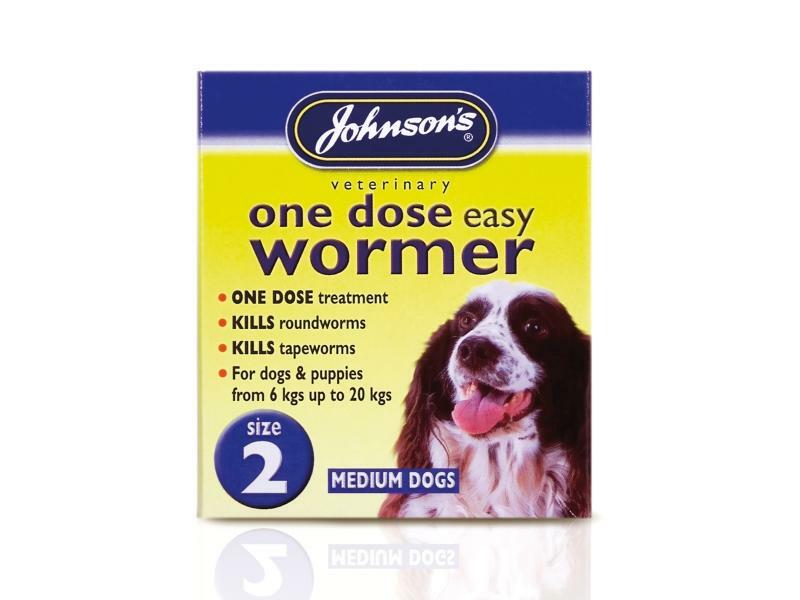 Johnson's Veterinary Worming Treatments are top quality worming treatments, specially tailored to your specific size of dog. 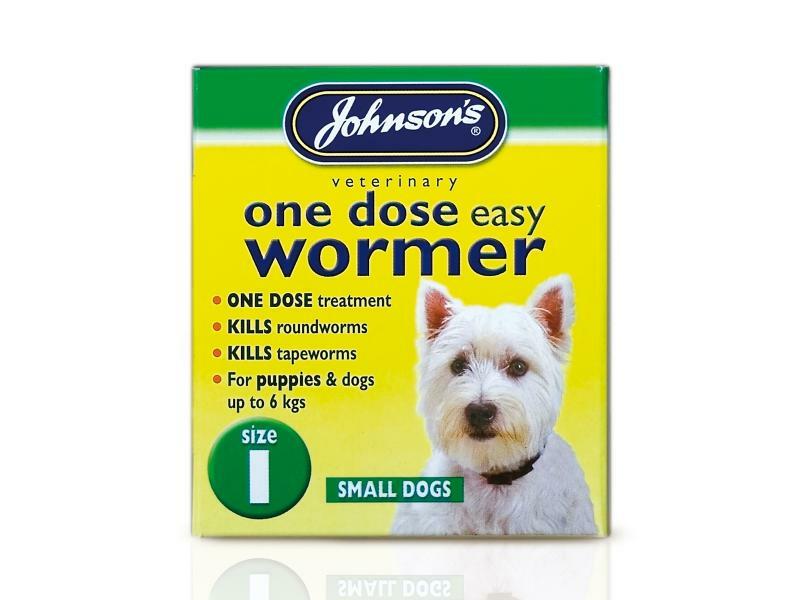 Available as tablets for puppies and dogs or a puppy syrup, Johnson's Veterinary Worming Treatment is a comprehensive and complete system to keep your pets healthy and your family safe. Below are some recent questions we've received regarding Johnson's Veterinary Worming Treatment for Dogs, including answers from our team. My dog has roundworm. I've seen it twice now in his poo which has been runny. He's been tired these past few days . 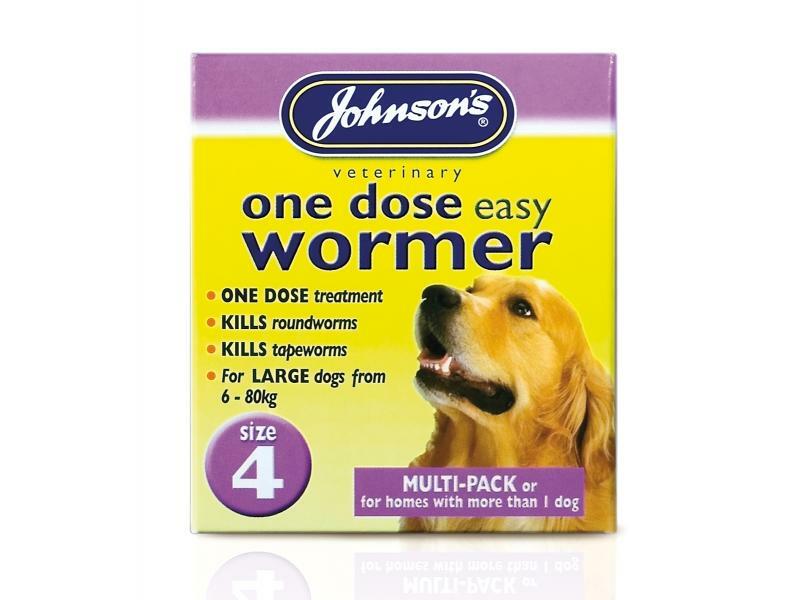 Today I've given him 3 johnsons worm tablets my question is when do I give him some more as I know the first dose only kills the adult worms ? The general advice is to worm once per month if worms are seen. This is especially important in puppies. 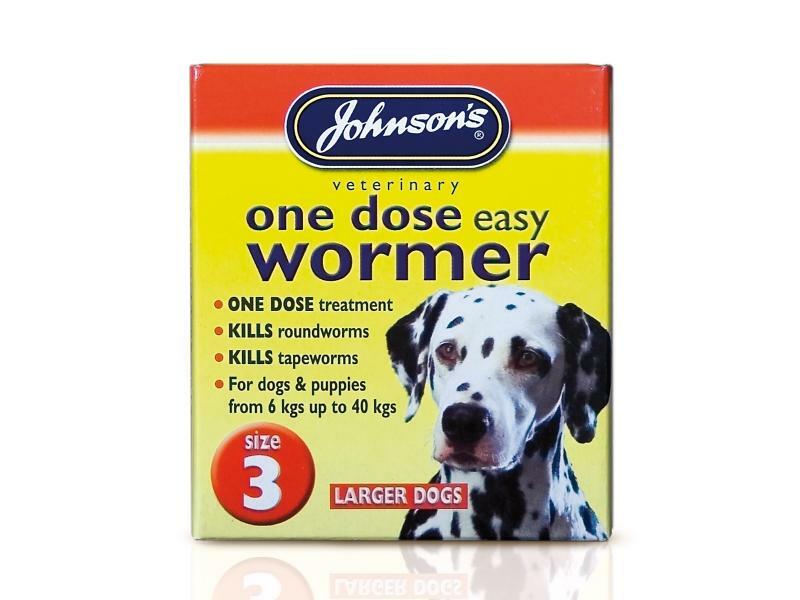 Once the dog appears to be clear of worms (or at 6 months of age), then every 3 months is generally fully adequate.